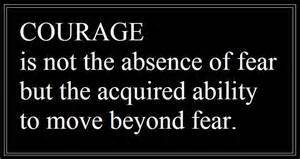 Today my thoughts are running towards courage. I want to always have the courage to live my truth. I pray this prayer for all of us. In living our authentic self surely we will know what it is to live in abundance.